As a partner of Sound Counsel Realty, Hilary Kelly has proven to be an outstanding real estate agent. Having an outgoing and enthusiastic personality are assets which have helped Hilary achieve the highest levels of success. As a result, Hilary has retained a very loyal following. She is willing to go the extra mile for each and every client. Hilary is an absolute go getter and one of the best in the field. 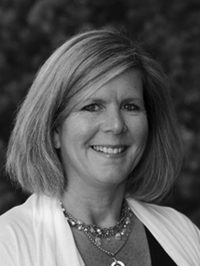 In addition to real estate, Hilary has over 25 years of sales and marketing experience in a diverse number of fields . A few of the corporations Hilary has represented include companies Qwest, Nordstrom, and Barrier Motors. While employed by Nordstrom, she earned the All Star award for excellence in customer service on an annual basis and also earned the Pacesetter award for top sales. Hilary graduated from the University of Washington with a BA in Advertising and Public Relations.